I don’t know about you, but since I was little I have never really cared for beets. But thankfully I have a husband that likes to cook and will convince me every now and then to try something new. Luckily for me beets are still plentiful from our local organic farmers and easy to find at the markets. 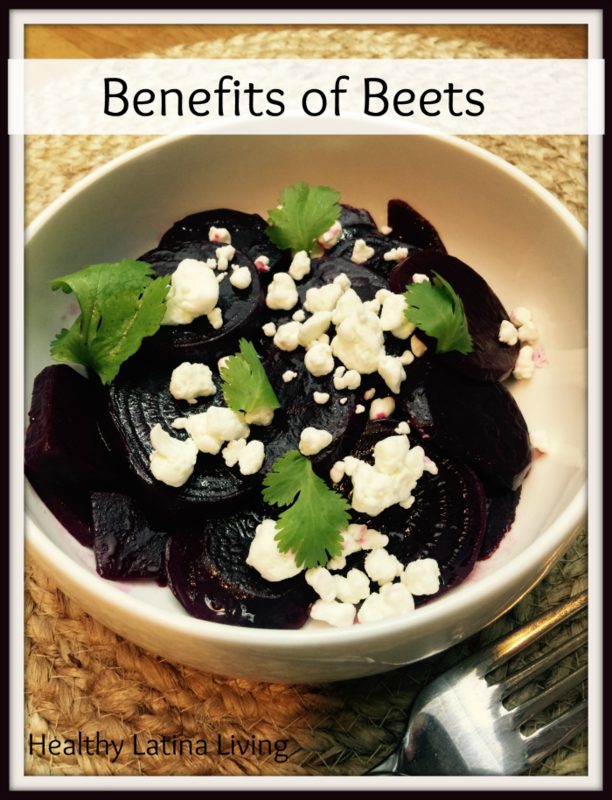 Did you know that beets are a great source of betaine? Betaine is a nutrients which protects cells, proteins and enzymes from environmental stress. It is also known to help fight inflammation, protect organs, enhance performance, and improve vascular risk factors. The pigment in beets called betalin, helps the body in its detoxification. It helps molecules bind to toxins for excretion from the body by helping purify the blood and liver. 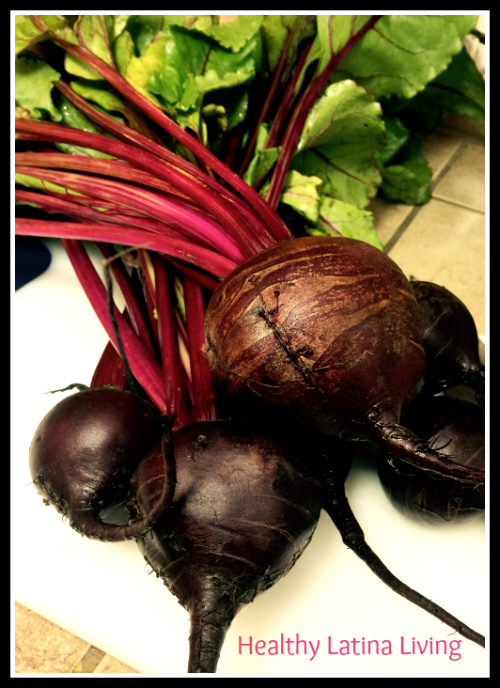 It is possible that the phytonutrients that give beets their wondrous color can help reduce tumorous cancers. So what are you waiting for? Try giving this wonderful veggie a try with this awesome salad recipe! Wash, remove stems and peel beats. This is one of my husbands favorite ways to eat beets! The colder it is the better it tastes! If you want to decorate your little girls birthday cake, but you want to stay away from those horrible food colorings, just add a littl bit of fresh beet juice to your frosting! Depending on the amount you add, you can either get a great pink or a vibrant red. See the cake I made for my little furgirl Riley’s 4th birthday. Even though I need to add more veggies to my diet, “Think GREEN”, I absolutely love fruit. I know that being diabetic I need to make proper choices. One of my first choices I’m starting to turn to a little more often, actually several times a week is turning to avocados. 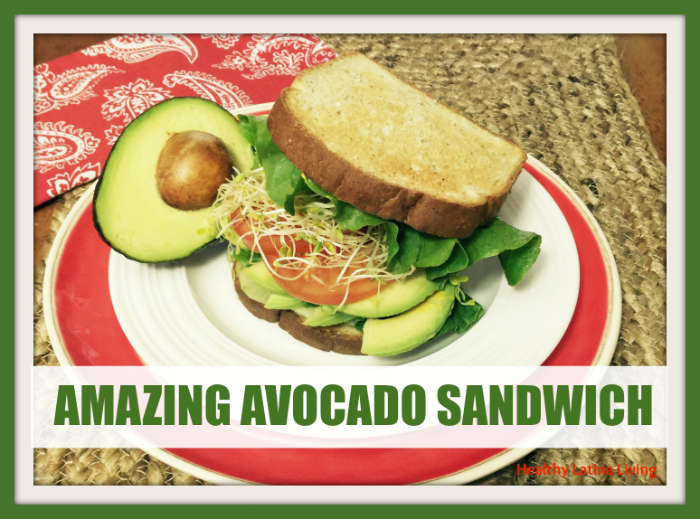 The times I tend to turn to avocados is the meal I have the toughest time with , LUNCH! and my Amazing Avocado Sandwich. But before we jump to the yummy recipe, let me fill you in on some healthy facts about these cute emerald gems. MUFAs With 3/4 of the calories coming from fat in avocados, most of this fat is in the form of monounsaturated fatty acids (MUFAs). MUFAs are good fats which are known to help lower bad cholesterol levels. Sugar Just half of an avocado contains approximately 0.2 g of sugar! Proteins Each avocado contains approximately 4 g of protein, more than any other fruit. Vitamins & Minerals If you need more potassium in your diet you may want to reach for this fruit first before a banana. With more potassium per weight than a banana, you will find that avocados are also an excellent source of Vitamin K, Vitamin C , Vitamin E and Vitamins B6, B9 & B5! stack all ingredients on whole grain bread & enjoy! We are so happy to be joining the 2015 A to Z Challenge! 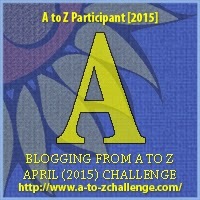 Did you know that Wednesday April 1st is the beginning of the A to Z Challenge? If you are asking yourself what is the A to Z Challenge, let me fill you in a little bit. If you subtract out Sundays in the month of April it leaves you 26 days, which is the same amount of letters in the alphabet, A to Z. Starting on the 1st you begin with the letter “A” and blog about something that begins with the letter “A”. This continues through the 30th of the month ending with the letter “Z”. In 2010 when this was started, the blogger turn out was about 100. Now in 2015 you can expect over 2000 (my guesstimate). So even if you are not a blogger, you can find a lot of new blogs to follow! 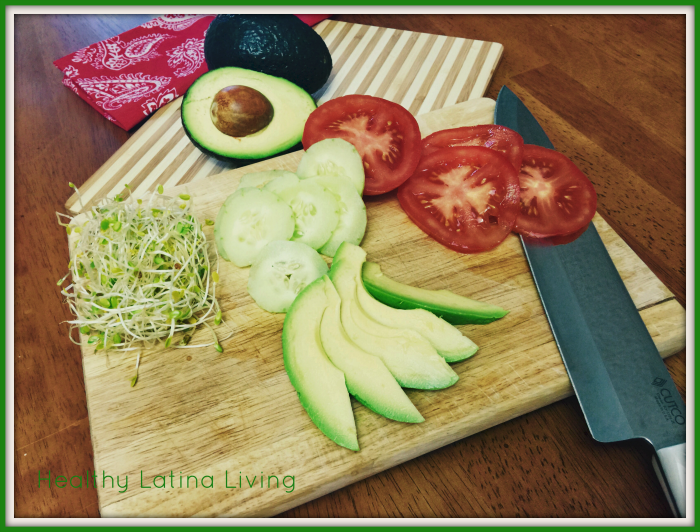 This is going to be our first time participating as Healthy Latina Living since we are a new blog, but it is actually the second time at our sister site, OhMyShihTzu.com (Check out the reveal here). Living in the San Joaquin Valley of California is a great thing when it comes to food. Yes I would be much happier if the summers didn’t hit 110 degrees, but when it comes to the incredible amount of delicious fruits and vegetables, nothing beats it! So for the month of April I will be exploring foods that either are grown here, or made here along with sharing some of my favorite dishes. I don’t know about you, but I love pasta. For me it’s a little bit of an indulgence, especially now that I am on Weight Watchers. What I love about Weight Watchers is that you don’t have to give up what you love, that’s what your extra weekly allowance is for. But it’s always best to eat as best you can even when you are using those weekly points. I have to let you know one important thing about me. I love Whole Foods. But I also know how to shop at Whole Foods so I don’t break the bank. All of today’s ingredients were purchased at Whole Foods. So why do I shop there? First off, if I am unable to purchase specific fruits or vegetables at the various local farmers markets, I find Whole Foods a great alternative. There have been times when I have been at conventional stores and heard comments like, ‘Organic is just a marketing gimic for them (the store) to charge you more’. That couldn’t be further from the truth. There is a huge difference when it comes to the quality. I notice it in the smell and the taste of the item. In this recipe as I had my sous chef (hubby) chopping all the ingredients the scallions and onions were wonderfully pungent, so much so eyes were watering! And then when I began chopping up the cilantro… OMG! It was so aromatic. But these aren’t the only reasons I choose organic fruits and veggies, being from a farming family I am fully aware of the pesticides and growth hormones that can and are sprayed on conventional fruits and veggies. Now don’t get me wrong, I don’t buy strictly organic, but I try to make wise choices and I prefer farmers markets more than anything else! A delicious 30 minute meal for 10 WW points! Cook pasta according to package directions,drain. Melt the 1 Tbsp butter in a large nonstick skillet over medium-high heat. 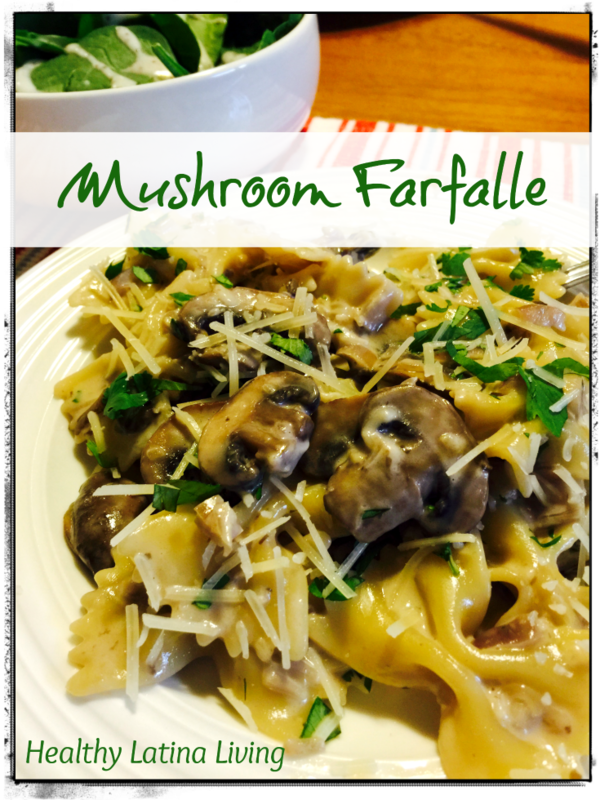 Add the mushrooms, onion, shallots, garlic, and pepper; when mushrooms are almost tender, add salt, continue to cook until liquid evaporates and mushrooms are tender, stirring occasionally. Add wine; cook 2 minutes or until liquid evaporates, stirring occasionally. Remove from heat. Add the cooked pasta, whipping cream, cheese, and 1 tablespoons cilantro, tossing gently to coat. Stir in remaining 1/2 teaspoon salt. Garnish with remaining cilantro. Serve immediately. The change in this recipe from the original is an added Tbsp of Butter and the addition of cilantro. I just love living in the San Joaquin Valley. Though many of you may be under a winter freeze with snow & ice, it’s just not that way here. Yes, we have been having a drought in California, which has a big effect on the crops. But the veggies are still beautiful. 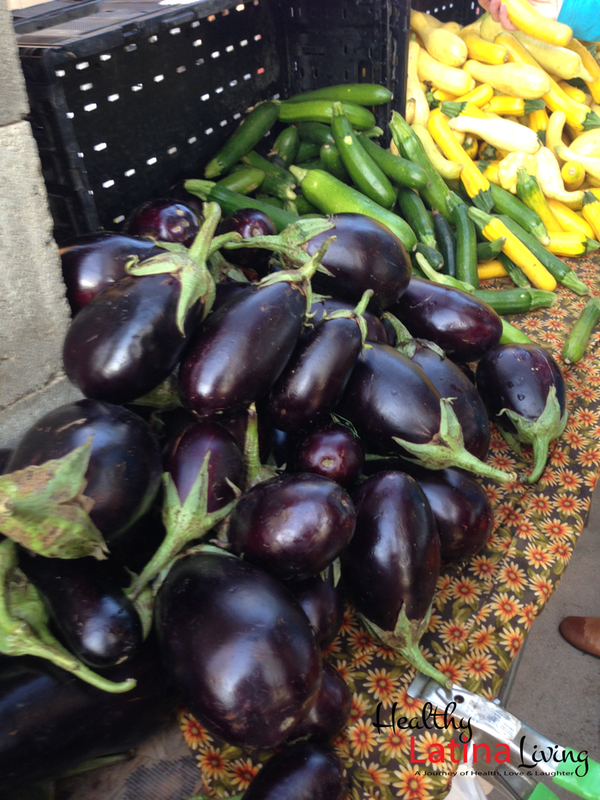 Saturday I visited the Vineyard Farmers Market to kick off my first Whole30 program. My goal of the Whole30 program is not to just get healthy, but to incorporate more organic foods from local sources within 50 miles of where I live. Living where I do I know that is more than fesible. But I am realistic in that certain foods may have to come a bit further away due to seasonality. But I will do my best to purchase what is local and in season. In the summertime there are as many as 15 farmers markets on various days of the week within a 15 mile radius from my house. Unfortunately winter is upon us and I only have about 3 markets to visit one being the Vineyard Farmers Market on Saturday. I was so happy with my produce purchases which totaled $39! now I can’t wait to see how many meals I will make from all of it! I did supplement with a visit to Sprouts for some mushrooms, avocados, lemons, limes & cauliflower. So be sure to follow me to find out what yummy dishes I come up with!